BoJack Horseman's fourth season (which drops on September 8) might not be as cohesive as some of its predecessors, but the series maintains its mantle as the best show on Netflix. The season is more concerned with telling four separate (and only occasionally intersecting) stories, easily divvying up the screentime between Diane and Mr. Peanutbutter, Todd, Princess Carolyn, and BoJack. The main characters rarely interact at all throughout the season (save for Diane and Mr. Peanutbutter, whose marriage remains intact and whose arcs play beautifully off each other), which is a bit of a bummer, but also understandable considering where each character was at the end of season three. In case you don't remember, the end of season three saw Mr. Peanutbutter deciding to run for governor of California, Diane still having reservations about their marriage, Princess Carolyn believing she might finally be able to have it all - career, relationship, and perhaps even motherhood, BoJack's (alleged) daughter Hollyhock showing up at his home and meeting Todd, and BoJack running away from it all and watching a herd of free stallions run into the sunset- suggesting that, perhaps, BoJack might be in the mood for change. 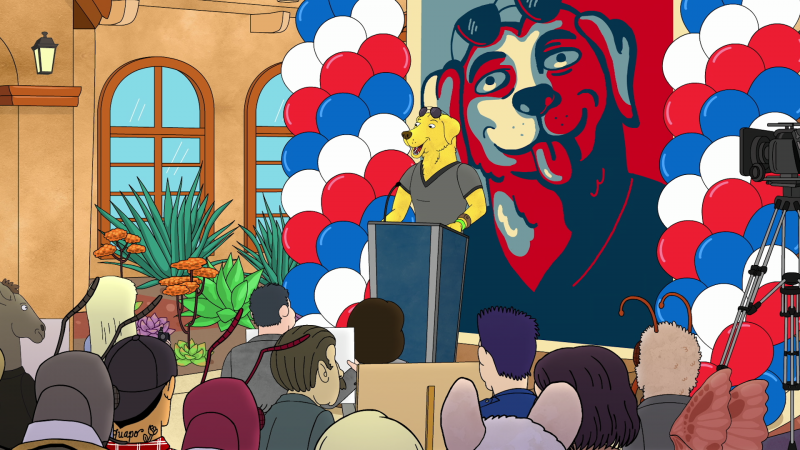 Well, season four picks up in the thick of Mr. Peanutbutter's run for governor (something that is complicated by the fact that the current governor isn't up for reelection yet), further straining his and Diane's relationship. The show has hinted over the past few seasons that the marriage between the pair was far more tenuous than either realized, so to see it brought to the forefront of their arcs here leads to some complex storytelling late in the season. As usual, Mr. Peanutbutter's arc delves into the absurd (and allows for a truly spectacular arc from Jessica Biel, showing how willing she is to make fun of her celebrity status), but the emotional depths of the character are in full display by season's end, as Diane's character reaches some important realizations that could change their lives forever. 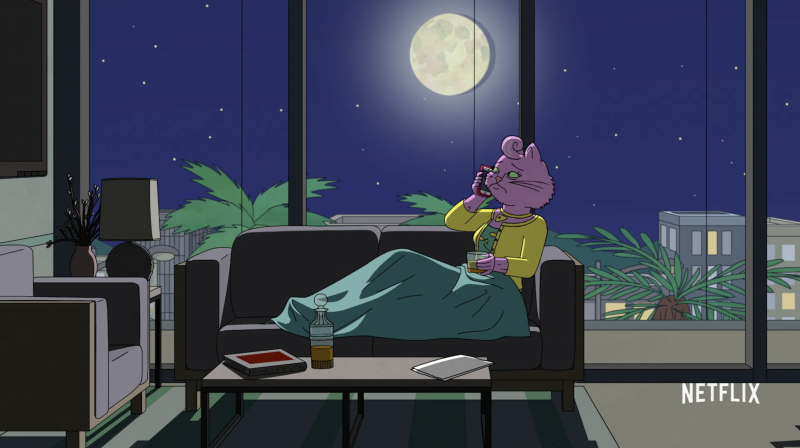 Princess Carolyn spends season four attempting to achieve the goal she has been searching for throughout the entirety of the series: having it all. While I won't say whether or not she hits that personal dream of hers, the season allows her a really lovely standalone episode, diving into her character in a way the series has avoided until now. She's still the same Hollywoo ball-buster, but there's a maturity to the character that was missing in years past. Where she was once willing to do anything and everything to achieve success in her professional arena, this time around there's more emotional depth and careful consideration before making major moves. She's certainly nowhere near close to a perfectly balanced individual (where would be the fun in that? ), but this Princess Carolyn is certainly capable of holding our attention in a way she wasn't before. The season's one major misstep is Todd's truncated arc. As usual, Todd is searching for his sense of self, and while the show does some really lovely things with Todd's exploration of his asexuality, it really drops the ball with Todd's latest harebrained professional scheme. The story never seems to jump off from its initial introduction, which is fun and appropriately silly, but nothing more. It's almost as if Aaron Paul (who, in addition voicing Todd, is an Executive Producer on the series) wasn't available enough to allow for a real arc to form for Todd. No matter what the reason, it felt as if the character was relegated to the background throughout the season, forced to wander through an uninspired story without hope of rescue. I can only hope the season five sees Todd back in the spotlight where he belongs. 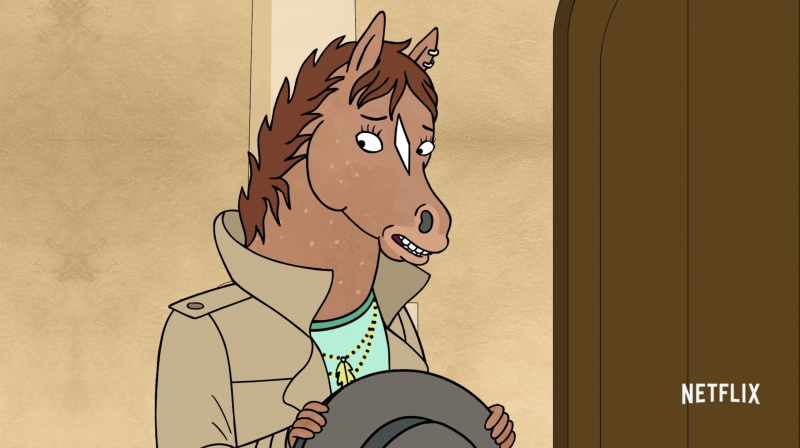 The most successful element of the season is, unsurprisingly, BoJack's storyline. I'll leave it to each viewer to determine if the BoJack that returns to Hollywoo is changed by his time away, but it's clear by the season's end that something meaningful and rather profound has happened to our surly main character. BoJack's arc is centered around the theme of family, allowing us a window into how BoJack's own life was shaped by the actions and failures of those that came before him. The two strongest episodes of season four place the spotlight solely on BoJack and his mother, exploring what led to their frosty relationship and whether or not the sins of the past can be made right in the present. This arc also offers one of the most honest and open depictions of dementia I've ever seen on television, taking pains to explore its impact on those around the affected person, as well as taking us into the broken psyche of the one affected, showing us their fears, pain, and frustration at not being able to determine who and where they are. As someone who has watched a relative fall victim to this debilitating disease, it was a difficult storyline to watch, and its honest portrayal left me in tears during the season's penultimate episode. It's an absolutely shattering storyline, and incredibly crafted to give us insight into BoJack's past and present, along with hope for his future. In addition to the deep dive into the awful world of dementia, BoJack's exploration of parenthood provides the show's second best arc of the season. The addition of Hollyhock to the story works incredibly well. She's not seeking out a father figure (she has plenty Dads without BoJack joining the ranks, thank you very much), but she makes for an excellent moral foil for BoJack. After three seasons of BoJack failing to do the right thing in favor of doing the easy one, Hollyhock's presence forces him to finally get out of his own way and think about someone else - someone he loves, despite himself. 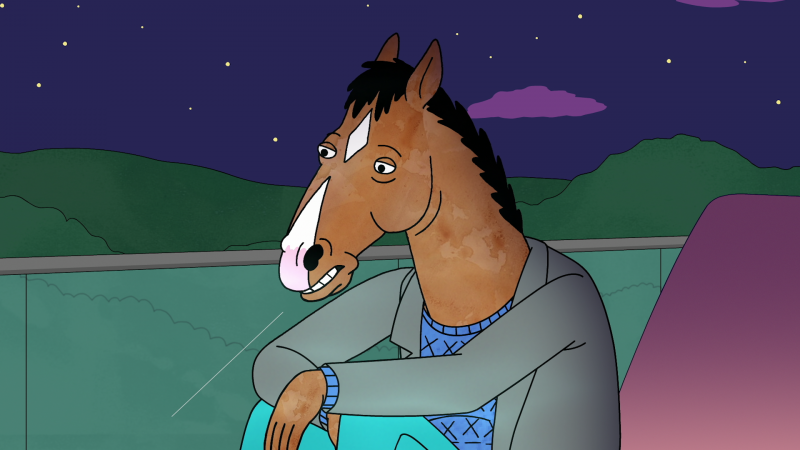 Hollyhock also allows the show to force BoJack to take stock of who he is, warts and all, leading to some of the most interesting introspective moments in the history of the series. A television show can only work if the characters begin to grow and change throughout the course of it. While season four doesn't solve all of BoJack's issues (there are, after all, many to address), it does provide the building blocks for some major growth. And a lot of that stems from Hollyhock becoming an important (and really lovely) presence in BoJack's life. BoJack Horseman may have some stumbles in its fourth season, but that doesn't take away from the strengths of the season. I would willingly watch another 12 episodes just about BoJack's family, even with its darkness and the deep well of sadness contained within the story. The show still has plenty of fun sight gags (for those wondering after the fate of Beloved Character Actress Margo Martindale, check out the news ticker in the season premiere for an update), and the smart humor we've all come to expect from the series. So, while it's a tad uneven, this trip back into the world of Hollywoo is still worth taking.